If you are a pickle lover, you must have an affinity for homemade achar. Tasty aam ka achar will tickle your taste buds and make you remember your childhood days. We cannot forget when we used to take paranthas with mango pickle in our tiffin box. Feeling nostalgic? So are we. Why not recreate the same magic for kids and indulge yourself by making mango pickle this season? Did you know that the process of making pickles dates back to around 4000 years? When refrigeration was not possible, pickles were the only way to preserve yields that were limited by nature or seasons. Mango pickle is a spicy and tangy condiment. Almost every Indian household has their own recipes for various kinds of pickles. When we travel, the favourite dish which we carry along is none other than puri and achar. We know you all will agree to this, right? Mango pickles are not only rich in taste, but high in health too. They help rejuvenate the inner organs as they contain antioxidants. Nutrition that you get from mangoes is embedded in this fruity, zesty pickle. 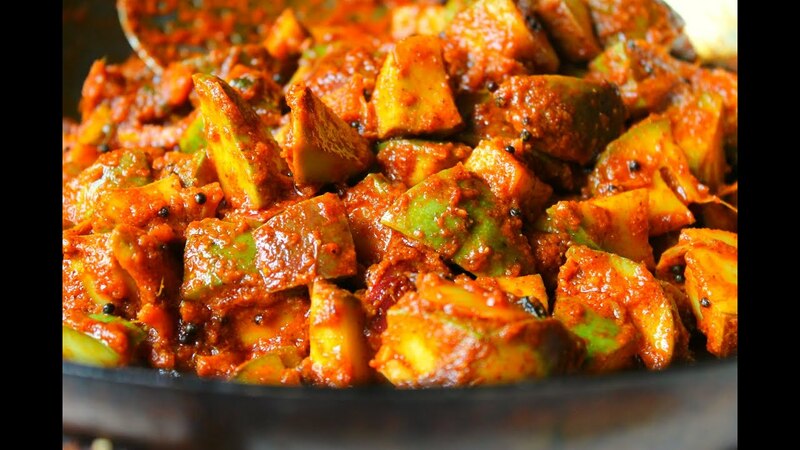 So why not try preparing the delish achar yourself with a signature recipe which never fails? Season of mangoes is back and let's grab a few of them for pickling and enjoy their flavour for a longer time. Here is the recipe (makes 12 oz. pickle). Read on. As soon as you see raw mangoes hitting the market, immediately buy and indulge yourself in making mouth-watering pickle. Even if you are new to cooking, the above recipe is easy to be followed and the result will be a delicious and finger-licking pickle. But do remember to consume pickles in a moderate manner. If you are pickle lover and keen to learn more pickle recipes, read here to know more!